I'm going to be doing a little bit of traveling in the next 3 or 4 days, so you're going to notice that I'm posting much less frequently, but stay tuned! I have a few great guest posts lined up, and I'll still be checking in and posting myself now and then so watch this space. Cheapskate will be fully back in business by the middle of next week. I'm always looking for a good brag. How did you save money this week? Let me know. How's your Passover shopping going? Got any more frugal Passover ideas? Let's hear them! UPDATE: An earlier version of this post appeared on Cheapskate back in January, but after receiving this email from Raina last week, I thought it was worth another look. I love your blog, and I'd love to save as much money as you do, but I know myself. I have a very busy career and the chances of my cutting out coupons, remembering which ones I have, doing all those "matchups" that I see in all the other blogs, etc. are basically zero. Are there other, more "passive" ways to save money that don't require a lot of energy and effort? Raina, excellent question, and I have to believe there are lots of folks out there with crazy-busy lives who would love to save some money without too much effort, or as you put it, "passively." So I reworked this post just for you. If you're here, reading this blog, chances are you got here because you want to try to save money. Even if you are not interested in coupon-clipping or bargain hunting, there are some simple, no-brainer things you can do that require very little effort after the initial setup, that save you money on an ongoing basis. Take the next fifteen minutes and do them. 1. Join cashback programs. Cashback programs work like this: if you want to buy something at an online store, instead of going directly to their website, you click through their link on the cashback program site instead, and are rewarded with a percentage of your purchase coming back to you in a check. I have literally received over a thousand dollars in cash back over the last few years, for doing nothing that I wouldn't already be doing. The three cashback programs I belong to are Shop at Home, Ebates and Mr. Rebates. I use Shop at Home much more than either of the latter two, because they are a fabulous company with excellent customer service, and their vendor list is far more extensive than Ebates or Mr. Rebates. Nevertheless, it also pays to have other companies in your back pocket in case you find a vendor who is listed on one and not the other. Shop at Home also has a 110% matching guarantee on their percentage of cash back, so if Ebates is giving 4% back at Zappos and Shop at Home is giving only 2%, SaH will match and exceed Ebates' offer. 2. Join Swagbucks: This is probably the biggest no-brainer on the list. Basically, you get points for searching through the Swagbucks search engine (which is Google-based) and after 450 points, you get a $5 Amazon e-gift card. The points accumulate very quickly; I currently have hundred of dollars sitting in my Amazon account because of Swagbucks. If you are more ambitious with extra time (I'm not) you can do other things to earn points, like take polls, surveys, refer friends, etc., but the fantastic thing about Swagbucks is that, you can earn points by doing something you would already be doing. "a grassroots and entirely nonprofit movement of people who are giving (and getting) stuff for free in their own towns. It's all about reuse and keeping good stuff out of landfills. Each local group is moderated by local volunteers (them's good people). Membership is free." We joined Freecycle two years ago and have gotten ceramic tiles, ceiling fans, tons of dog stuff, wheel covers, painting supplies, tvs and all sorts of things that other people didn't need and we did. In turn, we have freecycled tons of magazines, pots and pans, glasses, dishes, furniture, curtains, clothing, linen, and garden equipment. Even if you have an aversion to getting things that are used, it's a great idea to join so that you have a way of unloading things that you don't need. Getting rid of clutter is as important as getting free things that you need. And while you will find that people freecycle EVERYTHING, you don't need to take in things that you regard as too personal to acquire secondhand. We don't take in used clothing or linens or kitchenware, but I'm more than happy to pick up a 30 lb. bag of gourmet dog food that someone else's dog didn't like, or a tv that works perfectly but that someone else got rid of because they upgraded to a plasma. And to all the Moms and Dads out there, I'd say roughly a third of the stuff that goes on Freecycle is children/babies-related stuff! Much of the stuff on Freecycle is also brand new; people clean out their attics and basements and find things they've never even opened and don't want. I got several sealed boxes of gorgeous designer ceramic tiles (with which my husband will someday tile the bathroom floor) that cost hundreds of dollars at the time store. Freecycle saved us a fortune when we were working on our house. It's definitely worth joining up. 5. Join the public library. I don't understand my adult friends who take their kids to the library regularly, but don't even own a library card. Today's libraries are wellsprings of free stuff and services. Most libraries systems are online and have joint linked systems with other libraries. This means that a) you can reserve virtually any book you like and the library system will make it available at your branch and b) you can manage your library account at home; you can renew books, find out which books are available, see when they are due, etc. And most libraries have such enormous dvd collections, they eliminate the need for a Blockbuster or Netflix account. So besides free books and dvds, what else can you do at the library? Many libraries have excellent, low-cost or free classes in crafts, art, and numerous other topics. I have a friend who has taken over a dozen art classes at her local library, and those same classes are offered at a local metro college for four times the prices she paid. Many libraries have movie nights, readings, classes for kids, and book clubs for both adults and kids. My former library in NY used to offer its members free passes at Manhattan museums and concerts. Libraries are freebie treasure chests. If you're not an active member of your library, sign up now. 6. Join Facebook. I know, "it's such a time-waster," and "why would you want to make private aspects of your life public," etc. etc. I've heard all the silly excuses for not joining Facebook and I can only conclude that if you believe them, you don't really understand social networking. Yes, Facebook can be a major time-waster if you allow it be. And yes, you can foolishly disclose personal information that you shouldn't. Bottom line is, like everything else, you control what you do online; you don't need to post nonsense or private data and it's easy to take advantage of Facebook's extensive privacy measures. What can you do on Facebook that will save you money? Share resources. If you need to borrow a porta-crib because your friend with a baby will be visiting, don't rent it or buy it, post your need and borrow it. Find out about events. Is there a crazy clearance sale on bedding going on at your local store? Is your local theater giving away free tickets to a preview? Coupons and freebies. I know, I said at the start of this post that these would be money-saving ideas for people who weren't interested in couponing and the like, but if you do choose to go this route, Facebook has got hundreds of special opportunities to snag high-value coupons and samples. Everything else. I come across tons of hard-to-categorize opportunities each day to save money on Facebook, whether it's a post from a blog that I follow, or community news, or a plethora of other sources. 7. Subscribe to Cheapskate. Yes, I know, more shameless self promotion; what can I say. I subscribe to all my favorite money-saving websites, so that their daily deals are pushed out to me instead of me having to check the sites, and this way I get to stay on top of current money-saving offers. Easy to be a Cheapskate. So, busy readers, how do you save money without actively pursuing discounts and couponing? 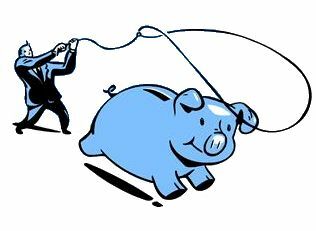 if the number of deals purchased reaches a certain goal (or "tips"), the price of the deal drops significantly, both for new buyers and for those who have already bought the deal. I've been watching this site, and so far, I haven't seen a deal that didn't meet this price drop. This 65 Piece Wallace Gold Accent Newcastle Flatware Set with Storage Chest is suitable for everyday use, yet the gold accents give this set an elegant design and style that is perfect for more formal occasions. Each piece is expertly-cafted of superior quality 18/0, 2.0-2.2 gauge stainless for strength and durability. 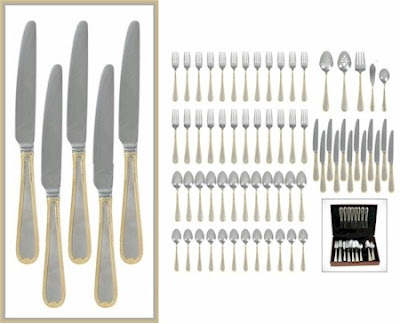 65 piece set, service for 12, includes 12 each of: dinner fork, salad fork, dinner knife, dinner spoon, and teaspoon, plus 1 each of: tablespoon, pierced tablespoon, cold meat fork, butter serving knife, and sugar spoon. All pieces are kept neat and organized in the included mahogany flatware chest. Dishwasher safe. Click here to grab the deal! This deal is good until midnight EST only. What is Shop at Home? SaH is a company that gives cash back to shoppers for purchases made at thousands of different vendors through the SaH website. Not a member of Shop at Home yet? Click here to join and get $5 cash just for signing up! Shop at Home is having yet another special promotion, where they are upping the percentages on cash back at some great vendors. Click here to check out which online stores are participating in this promotion. These elevated cash back percentages are good until 4/3/11. and more. Click here to see the rest of the list of participating online stores. I'm not a big costume jewelry person, but I love this new jeweled floral cuff from SparkleShark...the design was way too pretty to pass up. Click here to go to SparkleShark, and look over on the right hand side for the "Today's Bonus SparkleShark Deal" and click there. 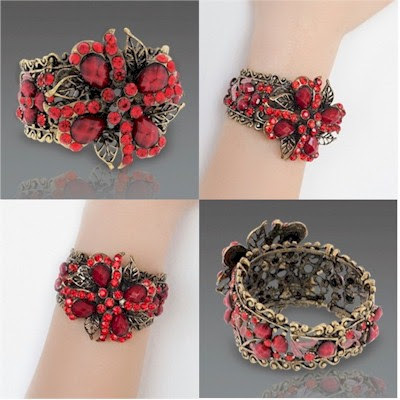 The bracelet is priced at $11, but you can take $2 off with promo code SLICKDEALS3 to bring it down to $9. Shipping is $3.95, so your total on this supercute bracelet is $12.95. Free download of The Feelies "When You Know"
Do you love listening to the Indie rock bands of the 80's (as I do)? 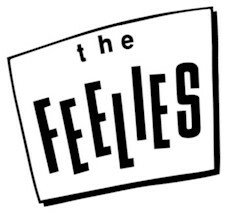 Very Short List did a feature on The Feelies, one of my old favorites. And now you can (legally) download a free mp3 of their newest song, When You Know. Download it here. Get up to $6 in printable Rayovac coupons: $1/1 on Alkaline, 9V Lithium and hearing aid batteries, and $3/1 Rechargeables. Go to the Rayovac page on Facebook and like them. Then go to the Coupons tab and print the coupons. I wear shells all the time. No, not the shiny things you find on the beach, but those great fitted blouses that layer wonderfully under suits, jumpers, sweaters, etc. 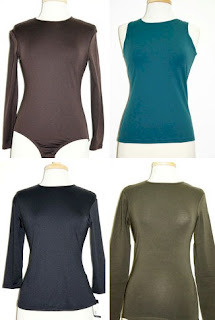 It's hard to find a good variety of shells in lightweight, comfortable materials and in the colors I need. I just ordered two Linda Leal shells from them (I'll let you know about the quality when I get them) to wear with my new outfits for Passover, and I was really pleased with their customer service. I was so pleased in fact, that I contacted them and asked them about doing something special for Cheapskate readers. So now, when you order from them and use promo code FRUGALSKATE$5 at checkout, you will get $5 off any purchase of $50 or more. At their prices, this is quite a steal! This code is only good until 4/15/11, so don't wait too long. Click here to order. I'm going to control myself and NOT send away for this free sample, because I'm still dealing with my stockpile of free stuff from last year, but if you'd like another great sample from Eucerin, please go to their Facebook page here , like them, click on the Pledge tab and fill out their form to get your free sample of their lotion. 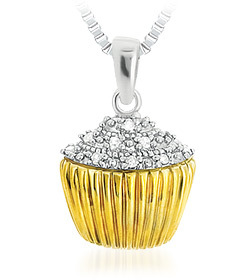 Get this diamond cupcake pendant necklace in 2-tone 18K gold plated solid sterling silver for $25 at Diamond Shark. And, when you use promo code SLICKDEALS3, the price will go down to $23. Shipping is free. Click here. This fun Cupcake Pendant boasts 10 round-cut Genuine Diamonds sitting within the silvertone "frosting" atop this marvelous treat! Each Genuine Diamond is securely prong-set into the pendant's cupcake-shaped setting, which is crafted from solid, highly polished .925 Sterling Silver! The cupcake's wrapper is plated with 18K Gold too, creating a delectable look that's sure catch the eye, especially when dangling from its included 18" Sterling Silver box chain (which fastens with a spring-ring closure). 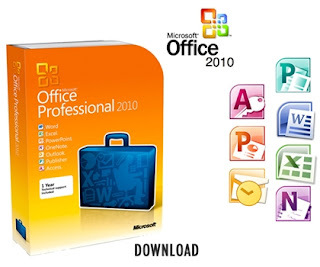 DailySteals has Microsoft Office Professional 2010 for Windows Digital Download - includes Word, Excel, PowerPoint, Outlook, Access, Publisher and OneNote, retailing for $499, for, are you ready? $99.99 with free shipping. This deal is good until the end of the day, and then it's gone. Remember, you are purchasing a digital download (no discs) with one year of support. Click here to grab this fantastic deal. 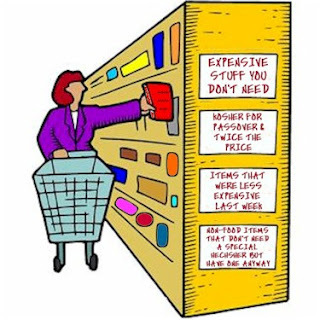 The first two parts of my series on How to Shop for Passover on a Budget were guest-posted on the superblog Kosher on a Budget, with Part 1 here, and Part 2 here. And now, the wonderful blog, Orthonomics, has posted Part 3 here. Yup, DailyCheapskate is a traveling blogger these days. 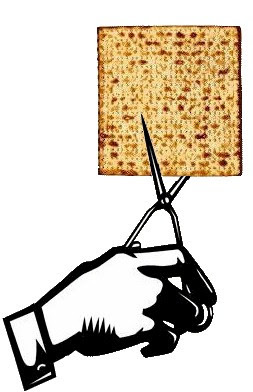 DailyCheapskate's series on saving money on Passover will also be mentioned in an upcoming article in the The Jewish Press, in the April 8th issue. Please comment on the guest-postings and share your own ideas and Pesach finds. Let me know what you think of these ideas and tips....I love love love to hear from my readers! Aveeno is giving away a free hair care sample. Click here and fill out the short form to receive yours. This is from The Jewish Hostess, a blog that is definitely not a frugal blog, run by a group of fabulously creative and ingenious women from the Sephardic community in my old stomping grounds, Brooklyn, New York. I check it out every week or so, for the same reason that I like to watch Martha Stewart: so that I can become really cognizant of my own many inadequacies. These women are incredible hostesses and really know how to throw a meal. Here is a post from one of them, Lenore Mizrachi (follow her on Twitter @thatartistgirl), who just got married and moved into an apartment that came with an ugly, permanently dirty linoleum kitchen floor (been there, done that). 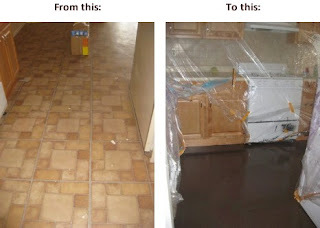 She completely redid the floor, frugally and elegantly: she painted it! Directions are in her blog post. She did all of it for (gulp) under $100...extremely impressive...big wow. I love frugal home makeovers that turn out this beautifully. 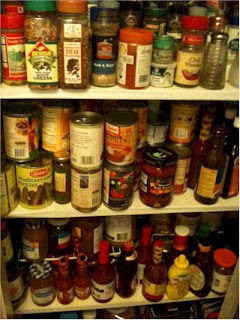 Thanks to reader Jana B. for another great resource on stockpiling: check out StillTasty.com. They've got thousands of foods in their extensive "Keep It or Toss It?" database and they also quote the sources for their data, which is helpful in determining the veracity of their information. This is definitely a great resource for planning both my year-round and Passover storage. I got a few surprises in plugging in some foods that I've avoided stockpiling, because I was sure they weren't safe to store. Who knew that you could keep a can of tunafish around for 3-5 years? I guess that one thing I need to own up to is my own personal "Ick Factor." Sometimes it's a challenge for me to buy multiples of things on sale or with coupons and store them for a while, because I hate the idea of consuming "old food," (Ick), but the fact is, many of the items that I might be averse to storing would be perfectly safe and fine to eat. Authoritative websites like StillTasty.com will go a long way towards getting me past the Ick. Do you have a personal "Ick Factor" aversion to stockpiling certain foods? How have you been determining which foods are safe and which are not? You post so many interesting deals, coupons, freebies, bargains, articles, how-tos, and information on living both cheaply and richly. How do I stay on top of all this? It's so overwhelming. I really, really want to be a Cheapskate but do I need to keep checking back on the blog? Twitter: each post on this blog is shared in my personal Twitter Feed. Follow me and don't miss a deal. Email updates: each post on this blog is shared in my Feedburner daily email. This goes out once a day, whether I have ten posts or two. Your mailbox will not fill up with offers from Malaysian princes, or ads enticing you to alter body parts. One email per day, from which you always have the option of unsubscribing. Blog: if you're not a social media kinda person, you can always just bookmark the blog and keep checking. That works too. Leave a comment when you find a post you like (or don't like) and I'll happily respond. Do you really want to be a Cheapskate? Connect to all four and cover your bases! 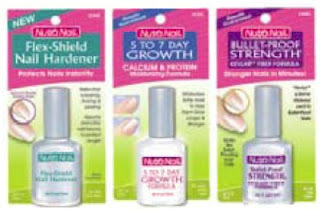 Click here for a buy-one-get-one-free in-store printable coupon for Nutranail. 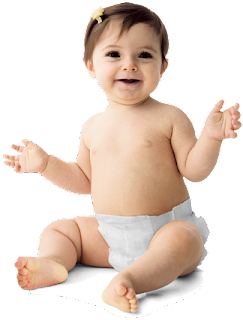 Fred's Kids is giving away 2 free samples of their private label diapers. Click here and submit the form. 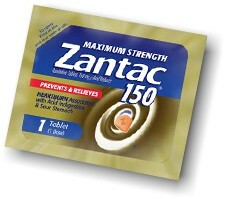 Click here and fill out the form for a free sample of Zantac 150. Going out to do your shopping for Passover? Wait! Print out these coupons for these Kosher La'Pesach (Kosher for Passover) products first. I'll update this page as more coupons become available. Spot any KLP coupons? Please let me know (and I'll happily credit you with the find). Hint: there are a bunch of coupons here that are for discounts less than a dollar; be sure and use those at a supermarket that doubles (like King Soopers) for maximum savings. You might not be thinking about buying a breadmaker right now with Passover looming, but this deal is too good to wait a month. 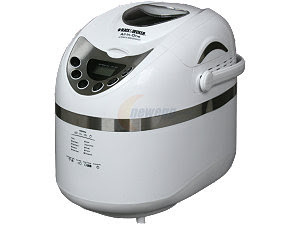 Get this Black & Decker breadmaker, priced at $89.99, for just $48.49 from Newegg, nearly half price. Add the Black & Decker B2250 All-In-One 2-Pound Automatic Breadmaker for $89.99 to your shopping cart. 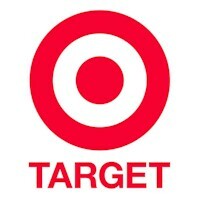 Use promo code EMCKGHE38 (expires 3/31/11) at checkout to get $40 off. Your total at checkout is $49.99. With your cash back, your grand total is $48.49. 2. Enter promo code TCA23BMA (expires 3/27/11) at checkout to get 10% off your merchandise total. In case you haven't heard yet, Jdeal is one of the newer social purchasing site geared towards the Jewish community. Jdeals are great, but my favorite Jdeal is a FREE Jdeal. 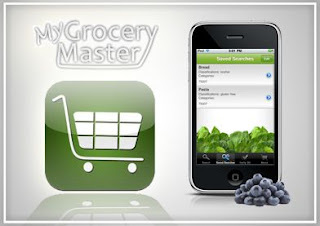 Now you can get the MyGroceryMaster iPhone App for FREE (a $1.99 value). Get this great Jdeal by clicking here. If you've been reading this blog for a while, you know how much I love my smartphone and apps that make my life easier. MyGroceryMaster will help with you with your shopping (especially if you're looking for a particular cuisine, like kosher food). Ever been stuck roaming around Fairway or Trader Joe's looking for kosher breadcrumbs or lactose-free milk? It won't happen again. Now there's a way to locate grocery store items for specialty diets regardless of where you are. Download MyGroceryMaster iPhone App for FREE! (a $1.99 value) and find kosher, gluten- and lactose free products at your nearest grocery store. With frequent free updates and a comprehensive website that features recipes and more information, this is an iPhone App that helps you find the food you need when you need it at the closest store near you. Talk about convenient! "Buy" MyGroceryMaster iPhone App on jdeal today for FREE and within the next week, they will email you instructions on how to download the app for FREE via the Apple App store site. The app will be available on a specific date only and then it reverts back to its normal price. As this is a free offer, you do not need to enter your credit card information at checkout. For new subscribers, simply create an account with your name, email and password. Expires 03/26/2011. No cash value. One per person. 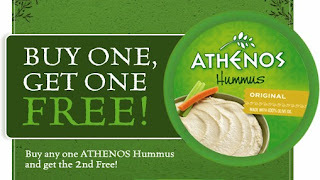 Go to Athenos Hummus on Facebook, click on the coupon tab and print their buy-one-get-one-free coupon. 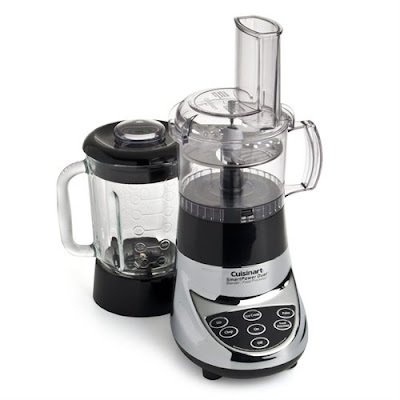 Get this Cuisinart Chrome Duet Blender/Food Processor at Buy.com for $42.99 with free delivery. And when you click through the Shop at Home link to Buy.com first, you'll get 3% cash back, lowering your grand total to $41.70. 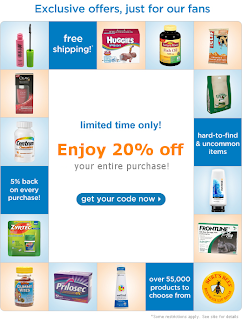 Go to Drugstore.com's Facebook page, like them, and get a link for 20% off your purchase. Plum District (another great social purchasing site) came out with a referral deal today, for residents of the following states: Colorado, Georgia, Massachussetts, North Carolina, Oregon, Pennsylvania, Texas or Washington. Refer six friends to Plum District and if they confirm their email addresses while this deal is still going, you'll receive a $40 Zappo's gift certificate free. Since I live in Denver, Colorado, here's my referral link for signing up (and thank you! I love Zappos.). Zappos.com came online in 1999 and provided a revelation for shoe hounds. It presented more fashionable finds for your feet than were thought possible. Since then, it's only gotten better. And we're offering you a $40 gift certificate good on their site, for free. Refer six friends who sign up as new Plum District users and confirm their email addresses while this deal remains available, and you'll qualify for your gift certificate. 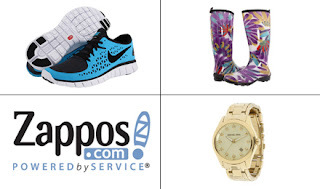 Not only will you be able to use it toward every type of shoe you could think of, for situations from dress to casual to work to athletic, for women, men, boys, and kids, but now Zappos.com also brings you bags, handbags, women's and men's clothing, housewares, and men's and women's watches. You can shop by brand, lifestyle, gender, age, and more. 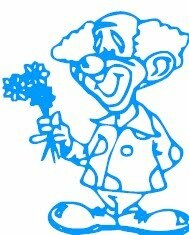 Zappos.com's legendary customer service and free shipping will put a smile on your face from the moment you purchase. And because your gift certificate will be free, you'll be smiling even before that. 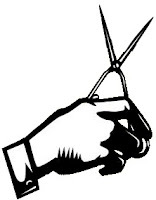 Gift certificates will not be replaced or refunded if lost or stolen. Zappos.com, Inc., and its affiliates are not responsible for lost gift certificates. Your referrals must sign up through your unique invitation link for this Plum Reward (presented during checkout) to count towards your ability to earn this Plum Reward. Referrals who sign up through other referral methods — including those who sign up while the Plum Reward opportunity is available — will not count towards your Plum Rewards total. 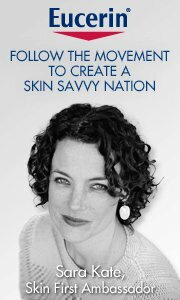 UPDATE 3/23/11: For today only, instead of the 15% promo code, use promotional code VERYBEST & then validation code 718669906 to get 25% off. This promo code is only good through the end of today (3/23/11). This will bring your order down to $37.49, and with your cash back, your grand total will be $36.37. Hurry; they are starting to sell out on some of the colors. UPDATE 3/22/11: See, this is what happens when I post before drinking coffee. Sorry folks, I posted the wrong link to the dishes. I've corrected it...the link below will allow you get the dishes in any of the ten colors. My apologies, and thanks to AmyS for letting me know. This just might be the best deal on dishes I've ever posted here. Get this Athena 72-pc. 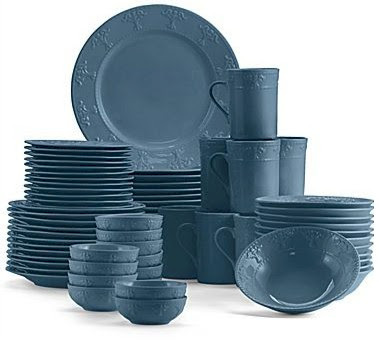 dinnerware set (service for 12), for only $41.22 from JCPenney. This is a beautiful set, available in ten pretty colors. The white set is porcelain and the other colors are stoneware. Add this Athena 72-pc. dinnerware set on sale for $49.99, to your shopping cart. Choose from ten colors. Select "checkout + promo code." Use promo code SUR11FEB to get 15% off. Select ship-to-store to avoid the $7.95 shipping fee. Your total will be $42.49 (excluding tax). With your 3% cash back, your grand total will be $41.22. Excellent. Durable for everyday use, yet elegant enough for special occasions, Athena dinnerware features a subtle Greek-inspired pattern and is available in a palette of wonderful colors. White is porcelain, other colors are stoneware. Dishwasher- and microwave-safe. Get these twelve Maxim gold rim wine glasses for just $25.45. Think Passover seder. The promo code for this deal expires tomorrow, so snag this deal today! 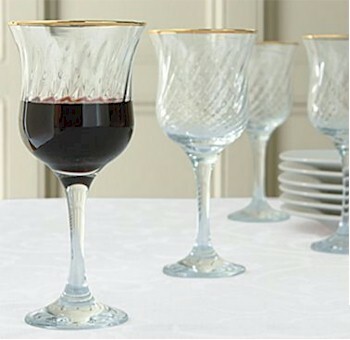 Add this set of 12 Maxim gold rim wine glasses on sale for $34.99, to your shopping cart. Select "checkout + promo code." Use promotional code VERYBEST & then validation code 718669906 to get 25% off. This promo code is only good through the end of today (3/23/11). Your total will be $26.24 (excluding tax). With your 3% cash back, your grand total will be $25.45. This is a recipe that I got from my dear friend, Chaya S., about ten years ago. I often make this during the year, but it's especially great on Passover, because the ingredients are so simple, the preparation is about 5 minutes and this feeds a crowd. Use one bag of Costco's Kirkland Frozen Atlantic Salmon fillets or Kirkland Frozen Steelhead Trout...either one is perfect for this recipe and both are kosher for Passover this year (according to the OU). Arrange sliced onions in bottom of pot. Wash and rinse salmon and place on top of onions. Pour the rest of the ingredients on top. Marinate overnight in the pot. Simmer on the stove for 30 minutes. Serve chilled. Garnish each piece with a slice of lemon. 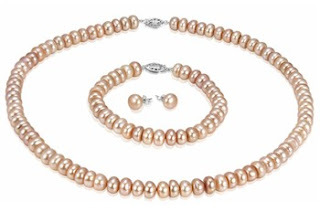 Get this 8mm freshwater peach pearl 3-piece set with silver filigree clasp for $15 including shipping, at 1SaleaDay. Today only, until midnight Pacific time. Go to the Dove Facebook page, like them and get a $1/1 any Dove Brand Multi-pack 15.1 oz or larger. Go the Minute Maid Facebook page and like them to get your $1/1 64 oz. orange juice coupon. 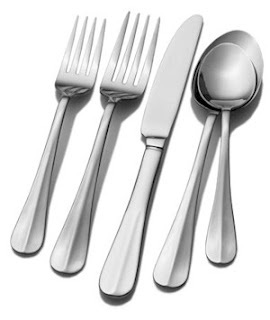 This 101 Piece Legacy Flatware Set is the perfect addition to any place setting. Each piece is quality-crafted from durable 18/0 stainless steel to stand up to the rigors of everyday use. 101 piece set, service for 12, includes 12 each of: dinner fork, salad fork, dinner knife, dinner spoon, teaspoon, steak knife, plus 12 extra teaspoons, 12 extra salad forks, sugar spoon, butter serving knife, tablespoon, pierced tablespoon, and cold meat fork. Dishwasher safe. Get $25 off a minimum $50 purchase and free shipping when you enter promo code 4504. All jewelry is currently on sale: buy-one-get-one-half-off. No promo code necessary. And go right ahead and stack these in any combination for incredible savings at Chico's. 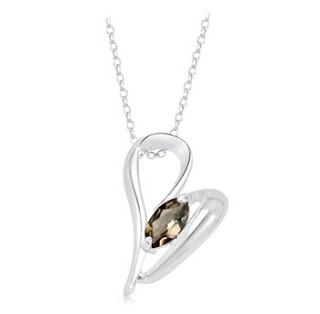 This 1/2 carat smoky quartz sterling silver pendant on an 18" chain is only $9.99 on Shadora, with free shipping. J'adora Shadora! Shop at Home is having yet another special promotion, where they are upping the percentages on cash back at some major vendors. Click here to check out which online stores are participating in this promotion. These cash back percentages are good until 3/27/11. and more. Click here to see the rest. UPDATE 3/21/11: The Deli coupon is back up! Remember, it's good from 3/21/11 through 3/27/11 only. UPDATE 3/14/11: Sorry if you missed it, but the East Side Kosher Deli coupon is no longer available. For those of you lucky consumers who were able to print it, good luck with your Passover shopping at the ESKD! It's here! Colorado readers, get $10 off $150 in groceries or $15 off $200 in groceries at the East Side Kosher Deli, in Denver, Colorado. Grocery purchase totals do not include tax. Coupon good from 3/21/11-3/27/11. Click here. This will come in mighty handy with Passover shopping looming in the near future. Download their Passover grocery price list here, and their Passover Frozen/Refrigerated foods price list here. 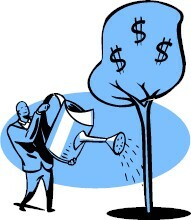 UPDATED 3/21/11----New links, new deals below! 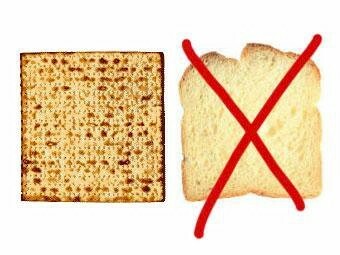 Passover's coming! Every Passover, Jewish homes all over the world anticipate the holiday in a flurry of preparations, including buying new or replacing old dishes, pots and pans, silverware, kitchen appliances, gadgets, glassware, bed linens, table linens, etc. The best time to do this is NOT the week before the holiday, but year-round! Here are some deals you might find helpful in stocking up for Passover. (And if you don't celebrate Passover, these are still fantastic deals!) Because some of these deals were posted a while back, if you discover that the promo codes on these deals have expired, please let me know and I will see about posting current codes. And if you see a great Passover deal posted on another blog, send me the url and I will happily post it to this list. 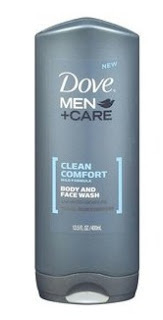 Get a free sample of Dove Men + Care Body and Face Wash and Dov Men + Care Deodorant by clicking here. In addition, get $1/1 coupon here. According to the latest poverty report from the National Insurance Institute of Israel in November 2010, there are 1,774,800 people living in poverty; among them are 850,300 children. With one in four people living in poverty, and two out of five children suffering from hunger, Meir Panim has an enormous responsibility to help those who need it most. Meir Panim's food and social service programs help to alleviate poverty in the short-term and provide long-term, proactive solutions to assist needy Israelis to become active, self-sufficient members of Israeli society. 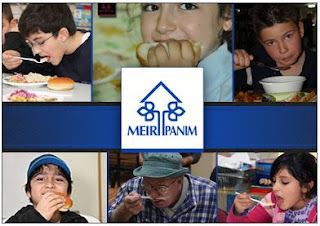 The Meir Panim organization provides free restaurants, meals on wheels, meals for children, food shopping cards, after school youth clubs and other benefits. Expires 03/20/2011. Donation will automatically be made to Meir Panim on your behalf. Click here to snag this wonderful Jdeal. Get this sterling silver and diamond accent bangle from Shadora for $19.99, with free shipping. J'adora Shadora! Current American Express card holders, you can now get rewarded for referring your friends to American Express, if your friends apply through your referral link and get approved. Rewards vary from 2,500 to 5,000 points (or the equivalent of a $25 to $50 gift card at major retailers). This is a great deal; you can refer your spouse, friends, family members etc.. I've have cashed in thousands of dollars in gift cards from American Express. We usually accumulate about $1,000 each year in Home Depot gift cards that go towards our house maintenance emergency fund. American Express cards have great perks, the points accumulate quickly, and almost every AmEx card waives or reduces their annual fees for the first year. The people you refer will also get sign-on point bonuses. So, for example, if you a Zync AmEx card holder and you refer your spouse to a Zync card and he applies and is approved, you will get 2,500 points, enough for a $25 gift card, and he will get a 10,000 point sign-on bonus, or the equivalent of a $100 gift card. Between the two of you, you'll snag $125 in free gift cards! Click here to log in to your account and start referring friends. 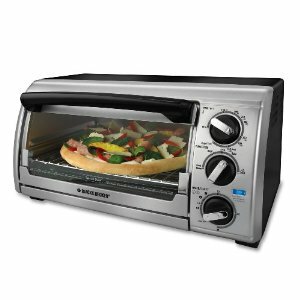 Get this 4-slice Black & Decker TRO480BS Toast-R-Oven for $28.49, with free Amazon Prime shipping. This is the lowest price that I've seen for a brand name 4-slice toaster oven so far. If you celebrate Passover and are looking for some new small appliances, think matzoh-pizza! Miracle Whip is giving away free samples on their YouTube channel. Click here and then click on the Free Sample tab on the upper right hand side. 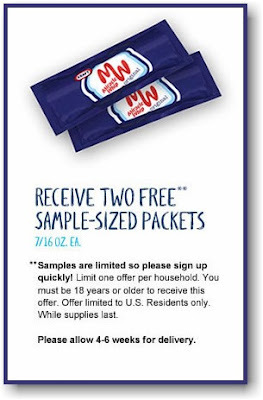 Fill out the form and submit to receive your two free sample-sized packets. 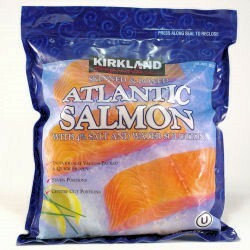 These packets are a great accompaniment to the pouches of Starkist tuna that I put in my husband's lunch. BOGO on Diet Pepsi "Skinny Can"